*JUST ADDED: T-MICKY 2013 KANAVAL MUSIC VIDEO+ THEO KREYOL'S WARNING TO CARIMI & MESSAGE TO KREZI ABOUT KANAVAL+ MICKAEL GUIRAND'S CARIMI RESPONSE AS KANAVAL HEATS UP+ MORE! *T-MICKY 2013 KANAVAL MUSIC VIDEO! *KREYOL LA'S THEO SENDS WARNING TO CARIMI & MESSAGE TO KREZI! 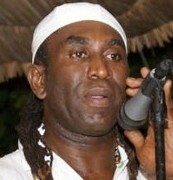 *MICKAEL GUIRAND'S BLAST BACK AT KREYOL LA'S THEO AFTER SENDING WARNING THROUGH KOMPA MAGAZINE! *MUSIC VIDEO FROM DJAKOUT MIZIK "DEZOD SOU CHA 1 NAN" (WATCH)!